Geography: South East, Hampshire. Most of the Fareham council area. Main population centres: Fareham, Portchester, Warsash. Profile: This is an affluent residential seat situated between Southampton and Portsmouth and forming the middle of the South Hampshire conurbation. It expanded greatly in the the 1960s to house the middle class commuters of Portsmouth and Southampton and further large scale development is planned north of the M27 in Welborne. The economy is now largely white collar, based around the offices, call centres and retail parks strung along the motorway. There are training facilities here for both the Royal Navy (HMS Collingwood, the maritime warfare school) and the Merchant Navy (Warsash Martime Academy). One of the three main offices of the Office of National Statistics is also based in the constituency in Titchfield. Politics: A safe Conservative seat. It has been held by the party since its creation in 1974, and prior to that the Fareham and Gosport seat was similarly Tory. SUELLA FERNANDES (Conservative) Born Harrow. Barrister. Contested Leicester East 2005. First elected as MP for Fareham in 2015. SUELLA FERNANDES (Conservative) Born Harrow. Barrister. Contested Leicester East 2005. NICK GREGORY (Independent) Fareham councillor since 2010, originally elected as a Lib Dem before defecting to the Conservatives, then UKIP. Mark Hoban is accused of interference re Lloyds. Luckily for him the accusation comes from the Rev Paul Flowers on Newsnight, tonight. The Labour candidate here, like with Robert Pocock in Sutton Coldfield, has been the same for the last three elections- James Carr, who actually increased his vote by 4.6% in 2001, only to fall back again by 6.0% in 2005. His 14.2% he scored last time was actually not too bad considering the way the Labour vote here has behaved in recent times- I think there may be some small trend in their favour long-term here, but I might well be wrong. 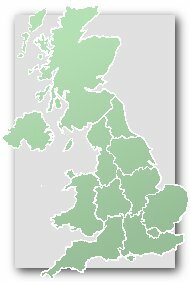 Actually on Wikipedia if you look at all the seats in South East England, as it says at the bottom of the page for the appropriate constituencies, going through all the 2001 results you find that there was hardly anywhere in that region of England where Labour didn’t get some kind of increase- the smallest was +0.2% for Leslie Sibley in Banbury, while the biggest was +12.7% for Michael Foster in Hastings and Rye. There’s definitely no trend in Labour’s favour in Fareham. It’s a reasonably wealthy constituency which is essentially outer Portsmouth/Southampton suburbs. The areas where they do have more Labour facing voters ( i.e.Fareham South) they were supplanted by UKIP. Indeed, residual Labour voters across this constituency are going to be of the type who are vulnerable to UKIP. But the vote share increase in 2001 here was nearly 5%, surely that indicated some kind of trend at the time. If UKIP don’t last forever, maybe Labour will recover their vote share here at the next few elections? I doubt there’s a trend to Labour here though let’s wait and see. Labour’s vote share didn’t fall by that much below average between 1997 and 2010. The Tory lead over Labour in 1992 was 45.7% points (factoring in boundary changes pre-1997) and 41.1% points in 2010. I don’t think we’re talking about a Sutton Coldfield-style shift. I would imagine that was more down to a Blair attraction effect as the demographics for Labour in this seat are particularly dire, and any increase in population isn’t going to reverse that with the kind of housing planned. Plus in 2001 Labour still had seats on the council whereas they haven’t won anything since 2000. So in conclusion, whatever helped them in 2001 seems to have been and gone, though that’s not to say their vote may increase at our expense next year if they can mitigate losses to UKIP. I think there is a bit of a Labour vote in Fareham, and even respectable votes in some of the suburban strongholds at their high watermarks. I wouldn’t expect them to rise a lot here though. There hasn’t been a Labour councillor for years here. Nor is there any realistic prospect of one any time soon. The 2001 result was probably illusory. But in actual fact the Labour vote is still at a decent enough level for them here, given how they did much better than average here in 2001- the decrease in 2005 was a bit deceptive and the percentage they currently sit at is still higher than what they managed in 1983, 1987 or 1992- I think that’s significant. If the Labour vote had gone along the national swing here since 2001, they’d now be lower than where they are now. Labour did appeal to some of these voters though in that period. I guess Labour could actually nose ahead of the LDs here if they go up to about 17% but I can’t quite picture it actually. I think UKIP may reach about 10%. Yes I don’t see why not Joe. I think as the seat got worse for the Lib Dems, at the same time it seemed to get much better for Labour, so maybe there was a tactical switch in anti-Tory support by 1997. The Lib Dem vote heavily above average here in both 1992 and 1997, while the Labour vote increased greatly above average in both years as well. At the same time, while I gladly admit that this is still a safe Tory seat, their vote share isn’t what it was here- they’ve lost about 6.5% of the vote they enjoyed at their peak in 1983, some of which will probably be down to UKIP. The LD vote fell heavily above average in 1992 and 1997. Compared to national performance the Tories are the same here as in 1992 (ie. about 19% above their national vote share). I think the Tories have fallen less than average here compared to 1992 (or 1983). You are probably right that there was a tactical unwind in Labour’s favour that continued to 2001 and there are other seats where this happened. I think the LDs do retain some local presence in Fareham town but I’m not in a position to know whether a larger fall is possible. HH posted just before me. Warsash which is a Tory stronghold – very much so, but I remember it was won by the Lib Dems in 1993 in those terrible County Council elecitons, and Labour polled quite respectably in second on several occasions in the late 1990s/early 2000s. Fareham is actually very good about keeping old elections on their website. That’s true Joe, what you say about the tactical switch in Labour’s favour continuing into 2001 in many seats. There were tonnes in Southern England where this phenomenon took place at the expense in nearly all cases of the Lib Dems. A lot of them were also seasidey places- East Worthing and Shoreham, Worthing West, Bognor Regis and Littlehampton, Hastings and Rye, even in Southport. One thing that does come across from this area is that although it’s not particularly glamourous, it is near some very nice places, and it does feel a sub region where things are happening and booming, and quite an active kind of life. Just found this tweet… veracity thereof? As can be seen, this shambles is impacting on UKIP beyond Fareham. Matthew Winnington named as LibDem PPC for Fareham…. Eastney and Craneswater – Portsmouth City Councillor. I think he’ll keep his deposit. Suella Fernandes is the Conservative candidate. She stood against Keith Vaz in 2005, and her mother (Mauritian-born) was the Tory candidate in the 2003 Brent East by-election that saw Sarah Teather elected. I assume there will now be less competition in Kensington. It has been a good week for Tory selection perennial finalists! I believe, incidentally, that Suella Fernandes’ parents are of Goan extraction. I think Keith and Valerie Vaz are also of Goan descent. yes they are. Keith was single when he first stood for Parliament, and I had intended to ask him Is your wife a Goan? on the first occasion after his marriage when I met him (he used to be my CLP secretary & parliamentary candidate). Unfortunately I bottled it. Suella Fernandes has been selected as the Conservative candidate. Malcolm Jones will be the UKIP candidate. The Lib Dem candidate’s surname here is a bit ironic. I like the contrast between the UKIP and Conservative candidates: local builder vs ‘London barrister’. This seems to be shaping up as a Con/UKIP fight. Dave, do you actually think UKIP have a chance here? The only contest here is between ukip and Labour for who can come a distant 2nd to CON. Infact this might be the constituency with the most boring history in England. Con to increase majority here. Labour’s vote has held up very well here over the years, and their candidate for a long time had been local man James Carr. Not a good one, no! Phew, you do get Kippers claiming they can win almost every constituency in the land. As for Portsmouth, Ashcroft had UKIP nowhere close to victory. I’m rather surprised. I think UKIP won more Portsmouth North wards than Portsmouth South. The line between the two constituencies does split the UKIP band of wards though, rather than leaving them all in one constituency.
? In Fareham? Scroll up the page, the UKIP candidate is Malcolm Jones. I hadn’t realised Suella Fernandes won the selection (someone mentioned it in the Kensington thread). She has stood in various selections for months now, making the shortlists but coming up short. Wonder if Charlotte Vere (another name that has cropped up frequently) will manage to secure a selection in time for May. Edward Argar and Helen Whately have similarly been rewarded for their tenacity. I haven’t heard of anything about Horsham lately, but as Charlotte Vere is / was based around Brighton she might’ve gone in for that. Dave B, Fareham is much more like Drayton and Farlington or St Jude in Portsmouth rather than Paulsgrove or Fratton. Portsmouth North was always considered the better Portsmouth seat by Kippers in the know but they (stupidly in my opinion) talked up Portsmouth South much more because of the possibility of a by election due to Hancock’s shenanigans. It wouldn’t surprise me if UKIP came second in Portsmouth North, with a reduced Tory majority whereas they’ll be fighting out with Labour for a somewhat distant third place in Portsmouth South. Would a UKIP win in Portsmouth North surprise you? Dave B. Yes. There is a way it can happen but something would have to go catastrophically wrong for the Tories this time and equally so for Labour. The latter looks extremely plausible, indeed you only have to look at last year’s local results to see what effect UKIP has had on the WWC Labour vote in Portsmouth North. The former though shows no sign of happening and the Middle class Tory vote looks generally quite solid, indeed there’s quite a bit who are vehemently anti UKIP. The biggest shock would be if Labour regained but I’d put that at no better than 100/1 at the moment. It’s really that grim for them.